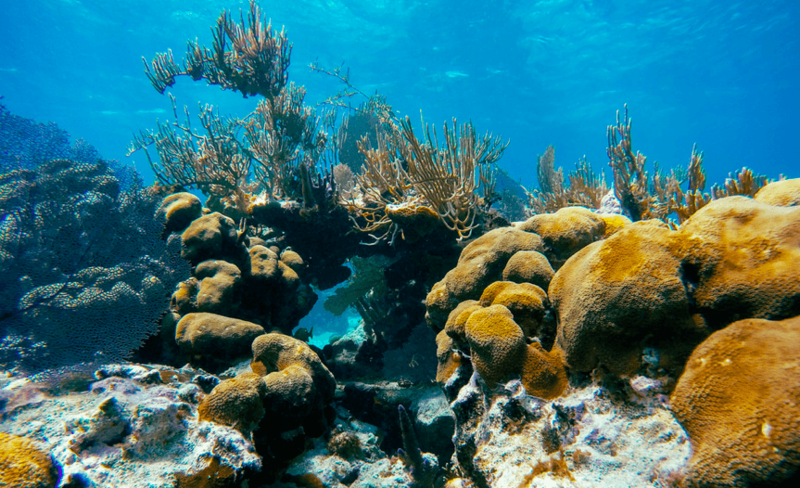 Belize’s coral reef, the second largest barrier reef in the world, shows strong signs of resilience as corals keep growing despite environmental threats and damages from tourism and man-made activities. A restoration project in Laughing Bird Caye, southern Belize, has succeeded in giving hope to threatened marine species, reports the Guardian1. Despite survival pressures caused by external environmental factors, 90% of sea life has survived and is thriving, marking the endeavour as “the most impressive coral restoration effort in the Caribbean”. The project is led by a grassroots group born from the efforts of fishermen, tour guides, environmentalists and scientists. Another step to keep marine creatures safe was taken early this October by the government of Belize when it announced the inauguration of the world’s first ray sanctuary. The waters of Belize are home to more than 20 species of rays, according to Florida International University2, whose scientists’ research inspired the creation of the sanctuary. Due to an unhealthy environment – a result of the combination of climate change effects, overfishing and habitat loss, rays are threatened with extinction, with some species being critically endangered, such as the smalltooth sawfish and Ticon cownose rays. “I was surprised to hear how threatened rays are globally and decided that Belize could be a good global citizen by protecting them,” said Belize Fisheries Administrator Beverly Wade. Regardless of the efforts from authorities and independent groups, numbers are far from representing an ideal scenario for environmental protection and preservation of the ecosystem in the waters of the reef. Laughing Bird Caye, for instance, although declared a Unesco World Heritage Site in 1996, entered the danger list in 2009. Initiatives such as restoration projects and sanctuaries can only do so much in protecting their fauna and flora. Finding a healthy balance between human intervention and nature’s own pace can be a challenge, particularly in a country where preserving nature is also an important source of economic earnings. Approximately half of the Belizean population depends on activities such as snorkelling, diving and fishing – which come mainly from tourism. The increasing levels of pollution and water contamination are causing fleshy macro algae to flourish excessively, impeding the further growth of corals. On top of that, oil extraction, poor law enforcement and construction of hotel resorts around the reef could be factors holding back the development of sea life in the future. If so far actions to preserve the reef ecosystem have been thriving, the growing exploration of and other pressures on these resources leave uncertainty on how long a sustainable balance can be kept.